Ferrarotti won the first round of the mono-brand Renault trophy, officially supplied by EVO Corse. The 2019 Clio R3 Top Trophy opened with the 42nd Rally Il Ciocco e Valle del Serchio. The trophy organized by Renault, which confirmed the partnership with EVO Corse for the supply of the wheels, resumed from where it stopped last year: the reigning champions Ivan Ferrarotti and Manuel Fenoli were once again the fastest driving a Clio R3T prepared by Gima Autosport with the colors of Best Racing Team. Ferrarotti, who ranked first among two-wheel drive cars and twelfth overall, prevailed over Federico Bottoni and Daiana Ramacciotti on Clio R3C (Verona Corse), and on the crew composed by Federico Rossi and Giuseppe Bernardi (Publisport). Five Clio in total took part in this first round, all crossed the finish line after more than 150 km of special stages: Filippo Puccetti, navigated by Omar Barsottelli (Jolly Racing Team) and Dario Bigazzi with Monica Briano as his co-driver (Promotor). 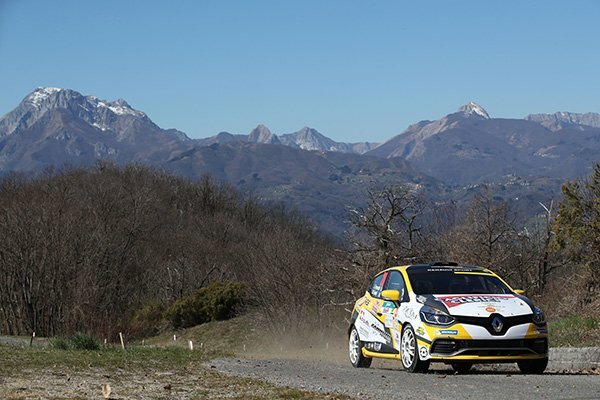 The Clio R3 Top Trophy will resume on 12 and 13 April at Rallye Sanremo, and then continue at Rally della Marca and Rally di Alba, before ending at Rally Due Valli, scheduled for mid-October.